After just having returned from an adventure in Switzerland with a woman from India, I learned much about the Swiss, but also about my travel companion’s culture. 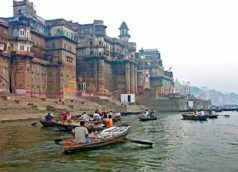 Although I have seen gorgeous pictures of the Taj Mahal, the Himalayas, and the Ganges, I haven’t traveled to India yet. It is certainly on my bucket list..